Tonight, I went over to my pastor’s home and discovered that my daughter was wearing an Auburn Cheerleader outfit. 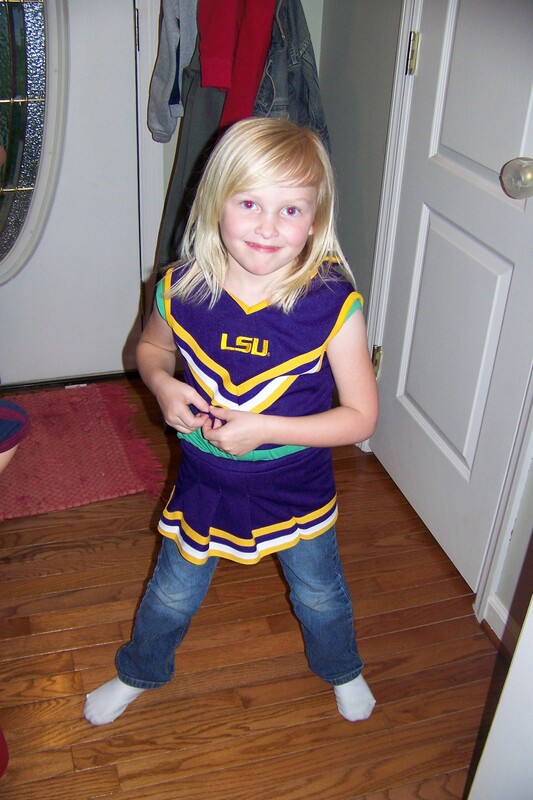 I am certain that she was coerced into wearing it, being that we are a family of LSU Tiger fans. Regardless, of whether Joey and Brooke encouraged Caroline’s temporary lapse in judgment, I decided that it was time to unveil this wonderful photo of their beautiful daughter.